Looking for a Des Moines senior photographer that specializes in high school senior photography? Inspired senior pictures that won’t look like everyone else’s? Well, you’ve come to the right place. Because we’re all about creating artistic, unique and creative senior pictures. A senior photographer that captures your beauty, your spirit and tells your story. Offering products that seniors and their parents love. The whole shebang. But before you take a look at our shebang, you should probably know (if you haven’t guessed already) that we do things a little different around here. Senior photographers going the extra mile for our clients to create really interesting alternative senior portraits. We’d like to think that’s us. We’d also like to think that we have a hankering, a passion, a need…really…to make your senior portraits uniquely yours and look like nobody else’s. But you be the judge. After all, that’s why you’re here, isn’t it? We only serve 100 high school seniors a year and our schedule fills up fast so don't wait claim your spot on our schedule. 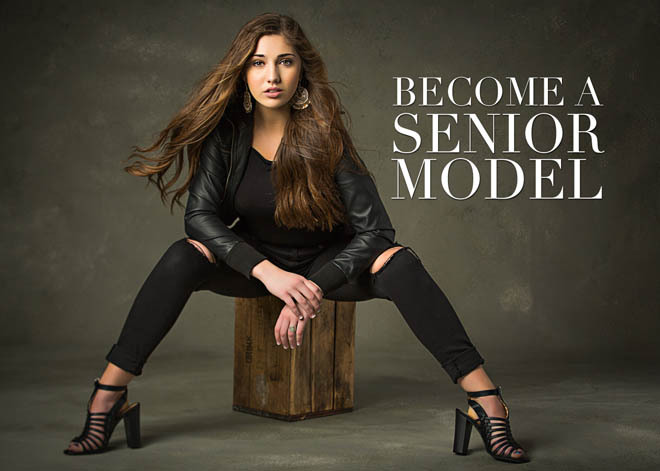 Become a Class of 2020 Senior Model and receive free photo shoots, amazing senior pictures, a huge discount and an exciting modeling experience. Have your family portrait created in the best scenery Des Moines has to offer with one of our Fall Family Mini Sessions for a limited time.